I have to admit that I’ve cheated a little bit when it comes to this post. Over the last couple of weeks there hasn’t been that much newness (or new-on-my-desk-ness) worthy of your attention, so this time around it’s an edit of some of the more exciting bits and pieces that have made their way to me over the last month or so – and for one reason or another I’ve not written about them previously. 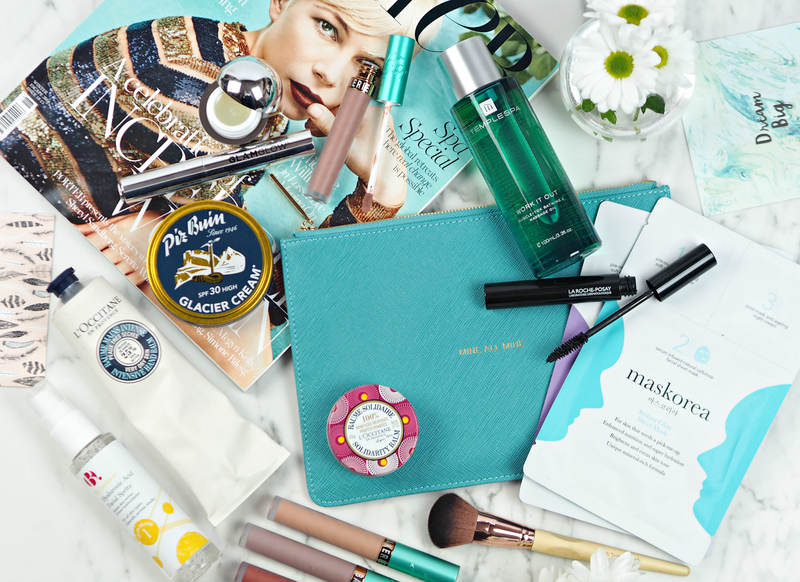 When the sunshine seems so far away and the cold weather is playing havoc with our skin, it’s the perfect time to give yourself a pamper and get to know some new treats that will undoubtedly tickle your fancy. I’ve pulled together an edit of ten things I think you’ll love getting to know, none of which cost a fortune either. Sheet masks aren’t new (in fact they’ve been clogging up my inbox for the best part of a year,) but what intrigues me about the versions from Maskorea is that they come with two little sachets of product to ensure you get the most benefit from the experience. Each features a cleanser to use before and ensure there’s no trace of makeup or dirt left to prevent the enriched mask from getting to work, as well as a night cream to apply afterwards to boost the benefits and hydrate the skin. Available in three variants (Too Many Late Nights, Turn Back The Clock and Instant Glow) this is a fun take on the trend. Personally I prefer my usual skincare products to those included, but I love the idea. 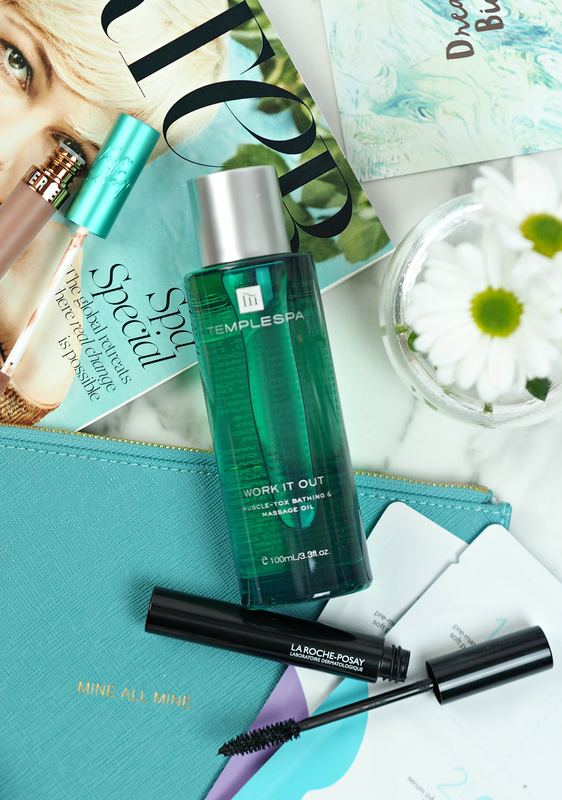 Usually more popular in the summer, facial spritzes are a great way to perk up skin or refresh the senses during the day. However, this version from Superdrug’s own skincare range ‘B’ is enriched with hylaronic acid to help plump the skin and restore moisture when skin is looking and feeling a little parched. You can use it as a first step when applying your morning skincare, spritz over makeup for a dewy and refreshed look or add a touch throughout the day when you need a boost; the mist isn’t the finest and it takes a bit of getting used to before you get the perfect amount, but it’s a great little treat to pop in your handbag when the cold zaps all the goodness from our complexions. A steal at £7.99 too. 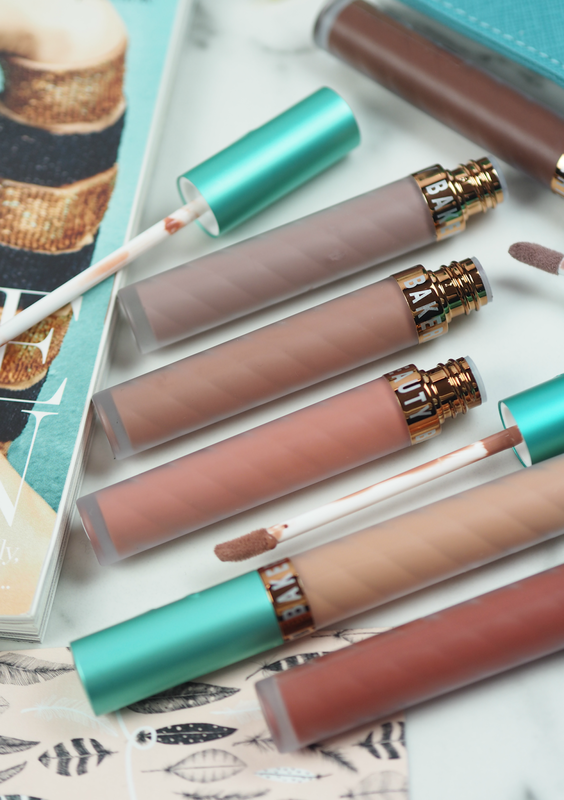 Matte liquid lipsticks are definitely my faves right now, thanks to the long-lasting result and modern twist on traditional lipstick formulas that just seems to give a look new life. 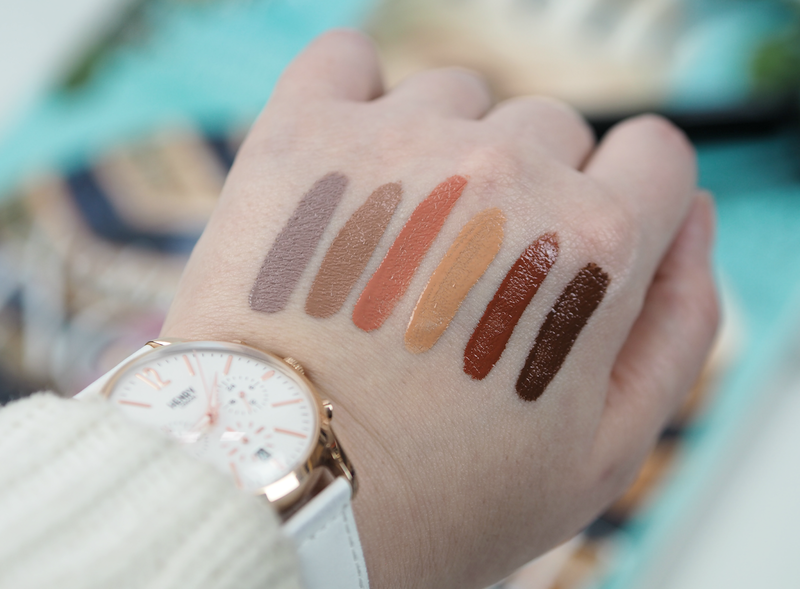 These little gems from Beauty Bakerie are du jour; not only do they look gorgeous and remind me of chocolate ice cream, but they apply beautifully to leave an incredibly pigmented result behind. You do have to thoroughly exfoliate and delicately tap balm into the surface of lips to get the best result (and maybe if you’re concious of fine lines give this a miss,) but they’re just beaut. If you can’t get your hands on a Kylie kit, these are a great alternative. I’ve been back in the gym this January, which means I tend to spend the day after each session feeling a little sore. This beautifully scented oil has been specifically developed to help ease tension and help massage away stress, thanks to a blend of 21 Mediterranean essential oils (including juniper, clove, cypress and thyme) in a lush base of sesame, avocado, jojoba, kukui, grapeseed, soybean and coconut oil. It also claims to ‘detox’, but I’m not convinced on that front; for me it’s enough to have an affordable bottle of oil that’s full of goodness and will help to restore my flexibility after a long soak. What’s this? 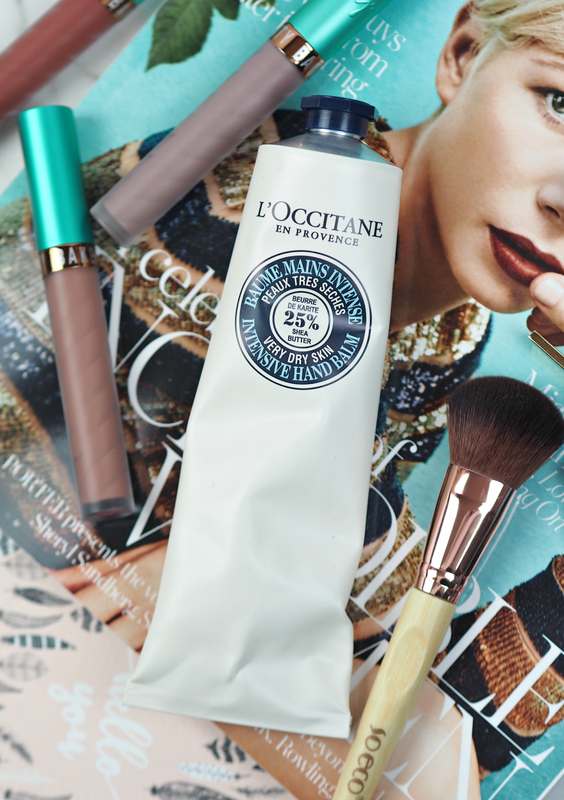 Skincare favourite La Roche delving into the world of makeup? Is this a sign of things to come in 2017? Developed for more sensitive eyes and those that wear contacts (myself included,) this mascara is pleasant enough – but not groundbreaking in terms of performance. However, it has gone through rigorous tolerance testing on people with severe atopy, under dermatological and ophthalmological control; it’s fragrance and paraben free, while the pigments used are purified and nickel-controlled to avoid any eye or skin irritation. Rather interestingly the mascara contains an ‘anti-tears formula’, with Reconstituted Lachrymal Liquid, which imitates a tears natural composition ensuring eyes do not react or run. There’s still a lot of stuff in here that could be a potential irritant so it’s worth having a look at the ingredient list before you buy, but I like the idea of this for those of you that suffer with eye irritation and usually have to steer clear of mascara. Got any skiing trips coming up, or just simply want to stock up in case there’s a snowstorm? 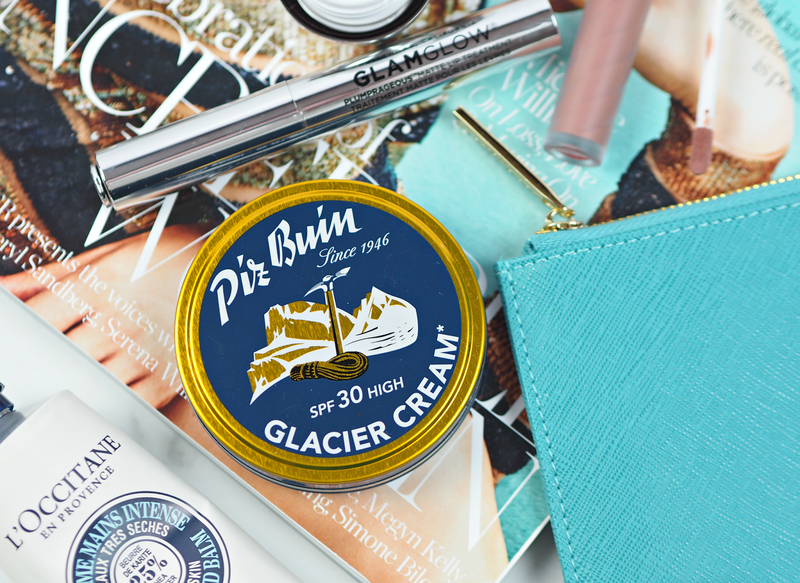 This tin is inspired by the very first formula of Piz Buin launched in 1946. It’s water-free and formulated to help protect against extreme elements, while simultaenosuly protecting against UVA and UVB rays; I love the little tin and think it’s the perfect thing to slip into your ski suit (or handbag.) Just be careful of the formula though, as it’s white and quite thick, meaning you need only the smallest amount; this really isn’t to be used under makeup daily, but instead is a hardworking helping hand for when you’re exposed to the elements. Ever year L’Occitane launch a limited edition little pot of balm that does good for your skin – as well as for the community. 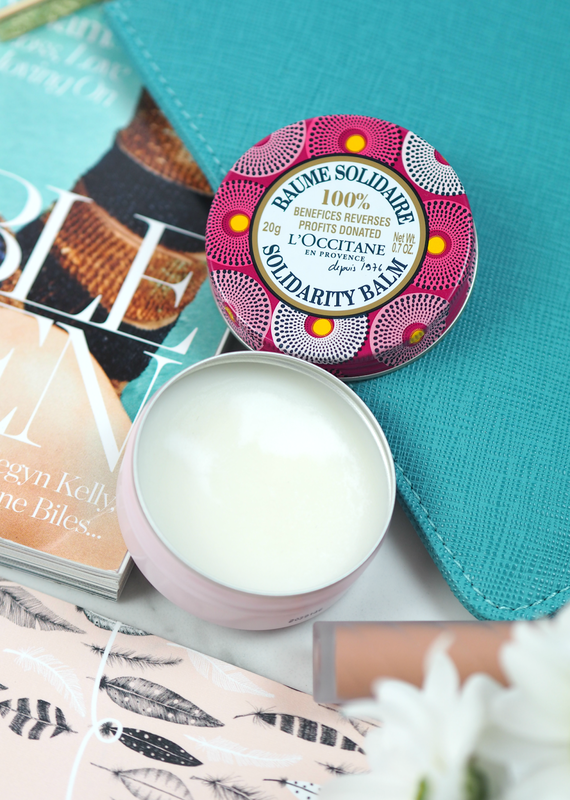 Formulated with 98% shea butter, this year it’s a violet-scented Women’s Solidarity Balm which nourishes the lips, rescues fragile cuticles and pampers the body. 100% of the profits will be used to support women’s leadership in developing countries, which has never been so topical as it is today. The balm itself is incredibly lightweight and nourishing, whilst providing just a hint of fragrance to perk you up on a dreary afternoon; the slightly sweet scent perfectly complements the bright and bold packaging, making it £4.00 well spent. Buy one for all your friends. 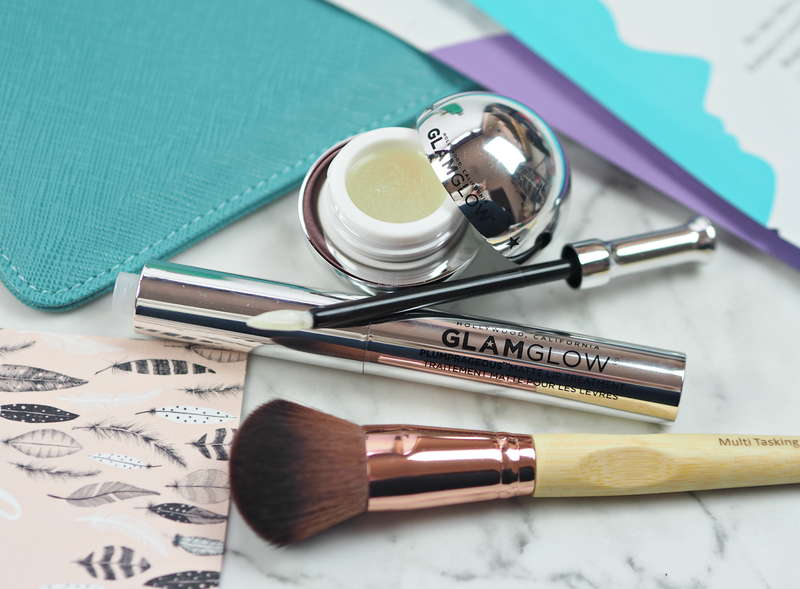 Known for their trademark face masks, GlamGlow are expanding into the world of lip treatments with the launch of new plumping formulas in both gloss and matte finishes. In a nutshell PoutMud is basically a lip balm that offers a little tingle and subtle pout, while the Plumprageous helps to add more noticeable volume before you apply your usual lipstick or gloss. Unlike a lot of plumping products that leave my lips stinging, these provide a very comfortable sensation; although I’m not overwhelmed by the result, I don’t really want to look like I’ve just had lip fillers. The balm comes in a very cute silver pot and is practical enough to pop in your bag, while the Plumprageous comes in a metallic tube that twists to reveal the leaf shaped applicator. These won’t blow your mind, but they are worth trying out if you’re a fan of lip plumpers. You would be forgiven for thinking this little number was twice the price, but SoEco are a brand that prove you don’t have to spend a fortune to get a great tool. I’ve used them many times before, but the latest collection included rose gold ferrules which bring them bang up to date; the soft bristles are a pleasure to use, while the bamboo handle is sustainably sourced and custom made for the most comfortable grip. Available in Tesco, Sainsbury’s and Bodycare stores, this is one accessories brand you’ll want to get on your radar. If you adore the original hand cream already, then I guarantee you’ll be obsessed with this even more nourishing version. Enriched with 25% more shea butter than the cream, this super rich balm melts when it comes into contact with the skin to leave the surface soothed and nourished – with no greasy feeling whatsoever. Because it’s so rich I find I use less than I would normally opt for, meaning it provides even more value and a longer-lasting tube. My hands have really been suffering of late, but just a couple of applications of this has zapped away dryness to leave digits that look ten years younger. It’s love. Which one of these ten have got you excited? Let me know which you’ve got your eye on in the comments below!